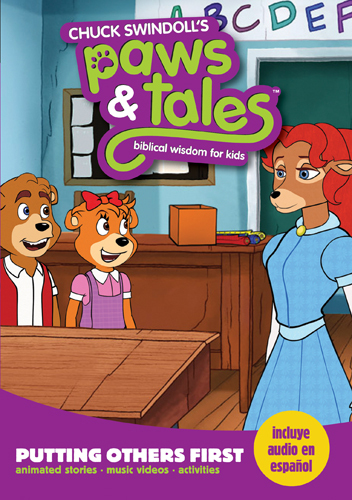 Using colorful animation, fun characters, and great lessons, Paws & Tales is an exciting tool for helping build godly character into kids. 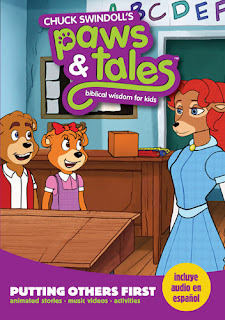 Based on the Paws & Tales national broadcast radio program presented by Chuck Swindoll’s Insight for Living, the Paws & Tales videos communicate biblical truth and show kids how they can apply it to real life. Kids will be captivated by the adventure, caught up in the laughter, and carried away in the fun . . . and the whole time they’ll be on their way to understanding solid Bible theology. This fourth DVD in the series is based on Matthew 22:39 and Philippians 2:3 and includes two episodes that teach kids about putting others first. In episode #1, “A Race against Time,” CJ and Staci risk disappointing Paw Paw Chuck to help someone in need. In episode #2, “The Hire Principle,” Tiffany learns to put the feelings of others ahead of her own. In the first story, "A Race Against Time," C.J. and Staci are on their way to a bake sale when suddenly pumpkins begin to rain down on them. They see a skunk who explains his cart wheel has broken and he needs help. The children have to decide to help or leave him. This is a great way to get across the story of The Good Samaritan. My five year old grand-daughter watched it with me and seemed to understand that we should help others. The second story, "The Hire Principle," was about a young, rich girl who used her wealth and power to blackmail her classmates into doing what she wanted. My granddaughter understood the girl as being mean. Older children would call her a bully. The stories provided an opportunity for me to talk with my grand daughter about how w should treat others. I see these as videos I will purchase for my grandchildren. This is a clean and effective way to teach Godly principles. Tyndale House Publishers provided me with this complimentary DVD in exchange for a fair review. 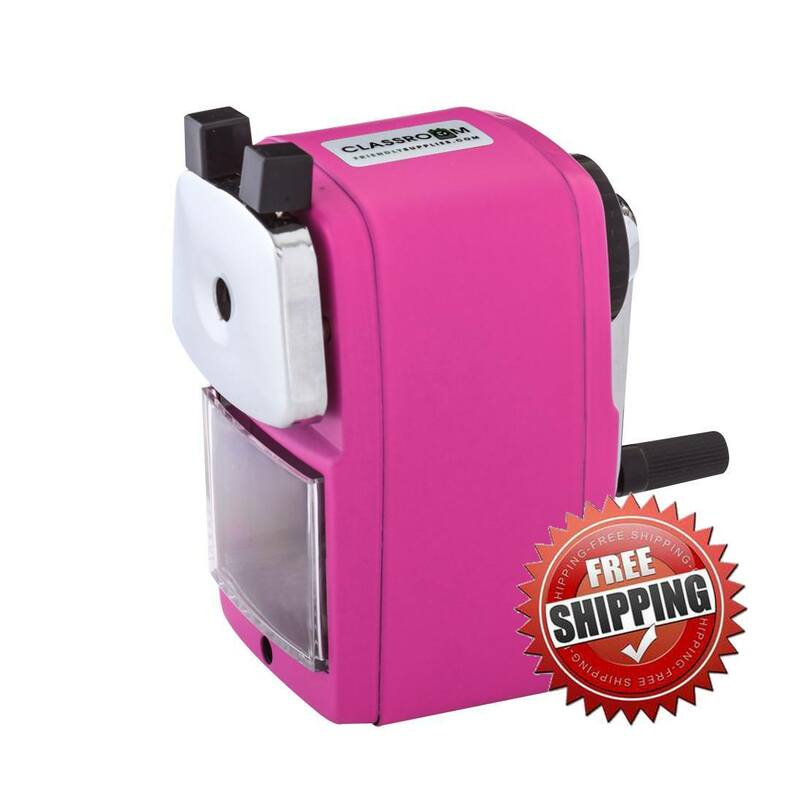 The opinion stated in this review is my own.